A pistol-packing woman shot and killed a 19-year-old man who allegedly attempted to rob her at gunpoint a bus stop in Chicago, police said. "He got what he deserved. He ran up on the wrong person. So she did what she had to do," Shonta Hodges, a resident of the South Chicago neighborhood where Tuesday's shooting occurred, told ABC affiliate station WLS-TV in Chicago. The 25-year-old victim was standing at a bus stop in the Fernwood neighborhood about 5:44 a.m. when she was confronted by the would-be robber, police said. "The victim was standing at the corner when the offender approached the victim, displayed a weapon and announced a robbery," Chicago police officials said in a statement. "The victim, a concealed carry license holder, brandished a weapon and fired one shot at the offender, striking him in the neck." 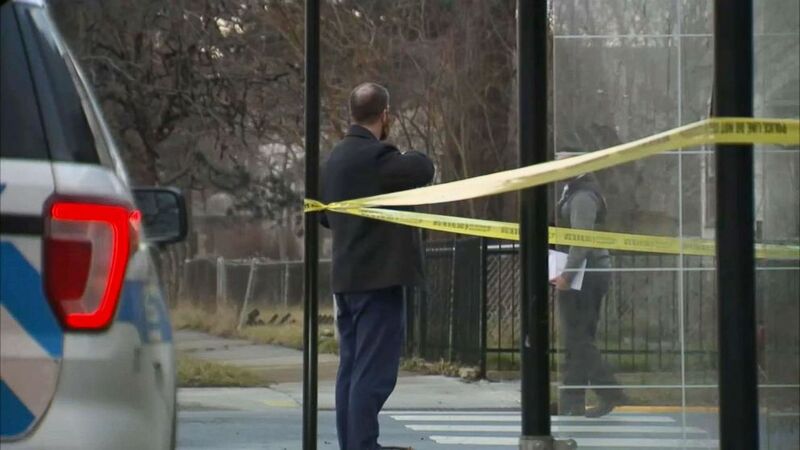 A 25-year-old woman, who has a concealed weapons permit, shot and killed a man who allegedly attempted to rob her at gunpoint at a bus stop in Chicago on Jan. 8, 2019. The incident was captured on surveillance video from a drug store in the area and showed the victim, whose name has not been released, getting pushed to the ground at the bus stop before pulling a gun and firing it. The suspected attempted robber, wearing white, ran from the scene while the victim ran in the opposite direction, the video shows. Police said the suspected robber collapsed about a block from the bus stop, where officers found him. He was taken to Christ Hospital in Chicago, where he was pronounced dead. 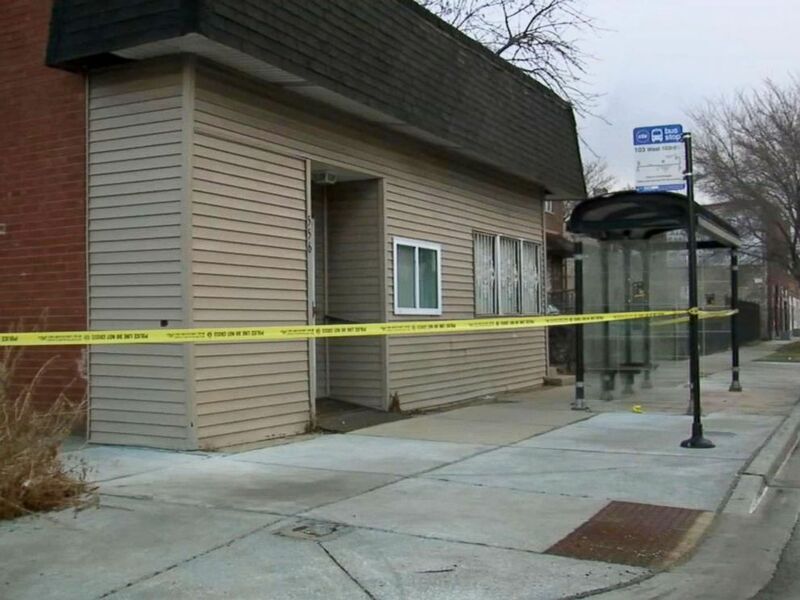 A Cook County Medical Examiner's Office spokeswoman identified the man Wednesday morning as Laavion Goings and told ABC News that Goings lived about a block from the bus stop where he was shot. Police said the victim suffered minor injuries, but did not require hospitalization. The incident remained under investigation, but no charges will likely be filed against the victim, officials said. The shooting marked the second time in about a month that an American woman with a concealed weapon permit turned the tables on a would-be criminal threatening her life. On Dec. 4, a woman who was home alone in Pickens, South Carolina, shot and killed a jail escapee who kicked in her back door, authorities said. Pickens County Sheriff Rick Clark said the woman, whose name has not been released, had a concealed weapons permit and knew how to use her gun when escapee Bruce W. McLaughlin Jr., 30, reached her bedroom entrance. She fired one shot that hit McLaughlin in the head, killing him, Clark said. "This is a shining example of what this lady did, took the time to get her CWP and set herself up to protect herself and not be harmed, killed or raped or whatever," Clark said at a news conference a day after the shooting. "She came out on the good end and the other guy, the bad guy, didn't."